Due to the complexity of hydrological systems a single model may be unable to capture the full range of a catchment response and accurately predict the streamflows. A solution could be the in use of several specialized models organized in the so-called committees. Refining the committee approach is one of the important topics of this study, and it is demonstrated that it allows for increased predictive capability of models. Another topic addressed is the prediction of hydrologic models’ uncertainty. The traditionally used Monte Carlo method is based on the past data and cannot be directly used for estimation of model uncertainty for the future model runs during its operation. In this thesis the so-called MLUE (Machine Learning for Uncertainty Estimation) approach is further explored and extended; in it the machine learning techniques (e.g. neural networks) are used to encapsulate the results of Monte Carlo experiments in a predictive model that is able to estimate uncertainty for the future states of the modelled system. Furthermore, it is demonstrated that a committee of several predictive uncertainty models allows for an increase in prediction accuracy. Catchments in Nepal, UK and USA are used as case studies. In flood modelling hydrological models are typically used in combination with hydraulic models forming a cascade, often supported by geospatial processing. For uncertainty analysis of flood inundation modelling of the Nzoia catchment (Kenya) SWAT hydrological and SOBEK hydrodynamic models are integrated, and the parametric uncertainty of the hydrological model is allowed to propagate through the model cascade using Monte Carlo simulations, leading to the generation of the probabilistic flood maps. Due to the high computational complexity of these experiments, the high performance (cluster) computing framework is designed and used. 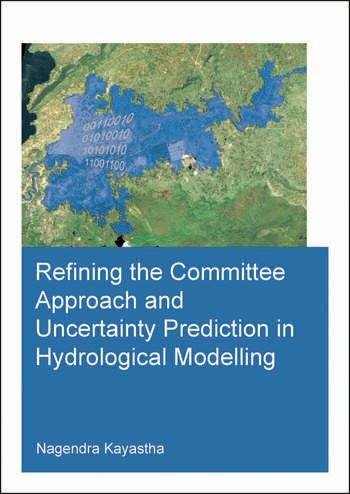 This study refined a number of hydroinformatics techniques, thus enhancing uncertainty-based hydrological and integrated modelling. Nagendra Kayastha graduated in Civil Engineering (MSc) from the St. Petersburg State University of Means of Communication, St. Petersburg, Russia, in 1997, with a specialization in Bridge and Tunnel Engineering. He was engaged as a consulting engineer in Morrison Knudson International Inc.(USA), for the Kaligandaki ‘A’ Hydropower Project in western Nepal. After completion of this project, he continued working at a consulting company in Nepal and was assigned to various national and international water-related projects. In 2005, he joined the MSc degree programme in Water Science and Engineering, specializing in Hydroinformatics at UNESCO-IHE Institute for Water Education, Delft, The Netherlands. His MSc research topic was on the "Novel approaches to uncertainty analysis of hydrological model" which covered new methods for uncertainty prediction of hydrological models using machine learning techniques. After completion of his study, he joined the special research programme at Hydroinformatics and Knowledge Management Department. He was involved in projects of the Delft Cluster Research Programme and in the EU project FLOODsite. He joined the PhD programme of the UNESCO-IHE and the Delft University of Technology, under the supervision of Professor Dimitri Solomatine with the co-supervision of Professor Ann van Griensven (Vrije Universiteit, Brussels) in 2010. He contributed to several research projects, namely EnviroGRIDs, WeSenseIT, and MyWater and has assisted in the Master programme in Hydroinformatics. He published more than 15 technical papers in international journals and conferences.